Donegal County Museum is going to arrange a workshop on archiving their old photographs, and this entire event will be guided by the curators of the Gallery of Photography. This is going to happen on 30th September. The experienced curators will be helping the visitors with the process of persevering the photo albums. Visitors will get to know about some intricate details of photographs including the negatives, proper ways of storing and displaying the photos. The provision of repairing the damaged photos will also be there. People who are willing to participate, need to come with their personal collections of photographs inclusive of the negatives and digital prints. They also need to carry photographs that they wish to enlarge or enhance the quality of. Those photographs will be scanned first and then reprinted according to the preference of the owners. If some of their photos are not in good condition, the authority will help to provide a solution through useful softwares. A series of snaps from the world’s biggest wildlife photography contest will make its debut in the United States at the Detroit Zoo. The exhibit called Wildlife Photographer of the Year will start on Friday and will go on till 1st June at the Ford Education Center of the zoo. The showcase features winners from this year’s contest. One hundred pictures were selected from around 42000 snaps by photographers from ninety-six nations. Ron Kagan, the chief executive officer of the zoo, said that the exhibit features magnificent snapshots representing the perfect timing and skill of the photographers. Speaking about wildlife photography, we must here talk a bit about David Yarrow. He now takes great photos in Africa in the midst of dust and heat clicking magnificent snaps of the animal kingdom. He has captured some of the most iconic snaps of the world. His stunning monochrome snaps have fetch up to £50000 at auction. He said that camping in the wilderness of Kenya is more exciting than football. Getting the perfect photo requires a lot of patience, at times. Alan McFadyen, a Scottish photographer, spent an estimated six years, 4200 hours as well as 720000 exposures in an attempt to get the perfect symmetrical photo of a kingfisher diving straight into its reflection. The Wildlife Photographer of the Year exhibit is all set to come to Canada. And, for the 2nd time in his life, Connor Stefanison, the 24-year-old from Burnaby, is the winner. Back in the year 2013, after Connor won WPY’s Rising Star Portfolio Award for the very first time, the honor led to a pro-career, as the biology grad from Simon Fraser started to publish work in Canadian Geographic and British Columbia Magazine. At the Natural History Museum in London, this October, Stefanison received the Rising Star Portfolio Award once again. Connor is one of three esteemed Canadians, including Don Gutoski, the awards’ grand title winner. Their snapshots left behind over 42000 entries from all around the world. The collection of WPY pictures will hit Victoria’s Royal British Columbia Museum later in December after they make their debut in Canada at the Royal Ontario Museum in Toronto on 21st November, 2015. Connor’s favorite subject (apart from Greece bareboat charters) is British Columbia – primarily its animals and its environment. He said that in wildlife photography, all are drawn to the exotics. A lot of people think you have to go to Africa or wherever to get pictures. Taking shots in local environments is really very important as you just know that much regarding the area. Connor dreams of shooting snaps of grizzly bears, and attempting underwater photography on the Pacific Coast. But, still there is so much left on the British Columbia. 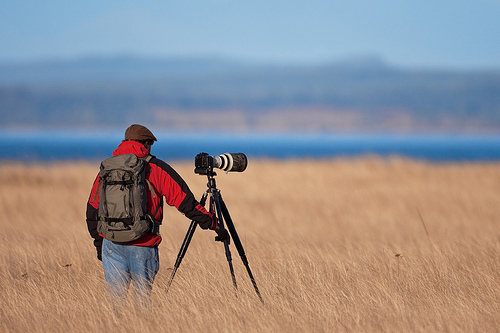 Václav Šilha is one of most well known wildlife and nature photographers of Czech Republic. His works has been published in top magazines like BBC Wildlife and National Geographic Magazine. Previous year, he went to and photographed on Sandwich Islands located near Antarctica. Many wildlife and nature fans will be quite conversant with the works of Václav Šilha, featured in the National Geographic Magazine as well as other top publications – portraits of cheetahs in late afternoon, a lion tearing into its prey, bears and a whole lot of other animals.